How Long Does It Take for a Bankruptcy Discharge After the Meeting of Creditors? Also known as the 341 hearing or 341 meeting, the meeting of creditors is an important stage of the California bankruptcy process in both Chapter 7 and Chapter 13 cases. Our Roseville bankruptcy attorneys explain how the meeting of creditors fits into the bankruptcy timeline in both chapters, including how long into a bankruptcy case the meeting of creditors occurs, and how long it takes for a bankruptcy discharge after the 341 hearing has concluded. How Long into a Bankruptcy Case Does the 341 Hearing (Meeting of Creditors) Happen? Regardless of whether you file for Chapter 7 or Chapter 13 in California, the meeting of creditors will occur between three weeks and two months of the date on which your petition is filed. If you declare Chapter 7 or Chapter 13, the 341 hearing will be scheduled to take place on a date between 21 and 40 days of the date on which you filed for bankruptcy. After the 341 Meeting, How Long Until Discharge? Like many matters in bankruptcy, the answer to this question depends heavily on whether the debtor has filed for Chapter 7 or Chapter 13. If a debtor files for Chapter 7 bankruptcy, the meeting of creditors will typically occur 21 to 40 days after the case is filed. If the trustee determines that the debtor has supplied adequate and accurate information and has no follow-up questions to resolve, the meeting process ends, and the debtor will not be required to attend any further meetings with the trustee. However, there is one more step to the process: the debtor’s creditors are granted a 60-day period in which to object to the case being discharged. Therefore, a minimum of about two months must pass between the meeting of creditors and the Chapter 7 bankruptcy discharge. If the debtor’s creditors do not wish to dispute the discharge, the case should come to a successful conclusion, provided that the debtor has followed all of the rules set by the bankruptcy court. Though the precise timeline of each case varies depending on its complexity, the overall Chapter 7 process typically takes anywhere from four to six months from start to finish. The Chapter 13 timeline looks very different, because unlike Chapter 7 cases, which generally conclude within half a year or less, Chapter 13 cases last anywhere from three to five years. This is due to the reorganization plan around which all Chapter 13 bankruptcies are built. The reorganization plan spreads manageable payments over a period of 36 to 60 months, depending on the debtor’s debts and disposable income. A Chapter 13 bankruptcy in Folsom or other parts of California will take at least three years to conclude, and the meeting of creditors will be scheduled to occur, at the latest, within 50 days of the date on which the bankruptcy petition is filed. Therefore, about two years and 315 days, or roughly 10.5 months, will elapse at minimum between the meeting of creditors and the ultimate Chapter 13 discharge. Keep in mind that, as is true of a Chapter 7 case, the trustee in a Chapter 13 case may continue the meeting of creditors if he or she determines that additional documentation is necessary. Additionally, it is critical that debtors in both Chapter 7 and Chapter 13 cases remember to fulfill the pre-discharge debtor education requirement of bankruptcy. Debtor education is a mandatory course all debtors must take through an agency which has been approved by the Department of Justice. Numerous online debtor education options are available, typically for prices ranging between about $15 and $40. 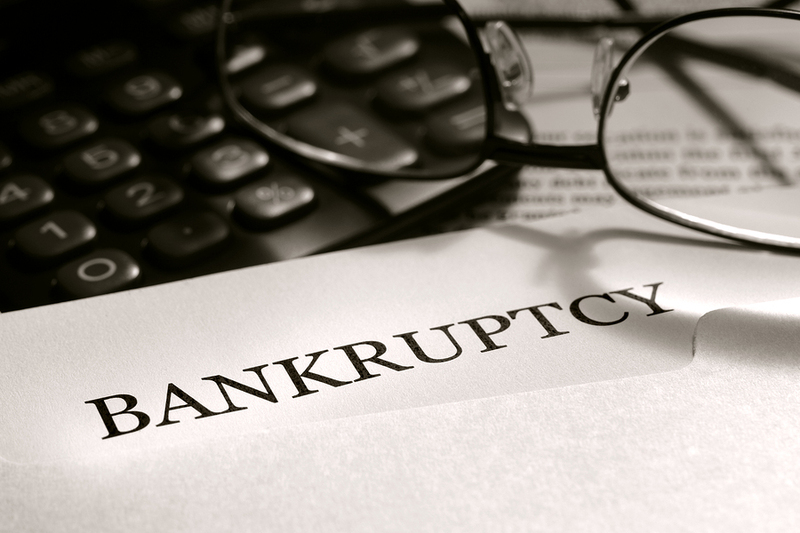 The Roseville Chapter 7 lawyers of The Bankruptcy Group can help determine whether bankruptcy is right for you, under which chapter it is appropriate to file, which set of exemptions to use, and how to time your bankruptcy filing advantageously. They can provide answers to other important bankruptcy questions while protecting your rights, handling your legal documentation, and advising you of your options and responsibilities. Our Chapter 13 attorneys in Roseville, Sacramento, and Folsom are highly experienced, and, regardless of whether you wish to file individually or jointly with your spouse, they can make a detailed assessment of your financial goals and resources to develop an efficient and practical bankruptcy plan. With quality legal representation on your side, declaring bankruptcy doesn’t have to be stressful. Let The Bankruptcy Group, P.C. help make the bankruptcy process simple and convenient for you. Call our law offices at (800) 920-5351 today to discuss your California bankruptcy options in a free and confidential consultation.